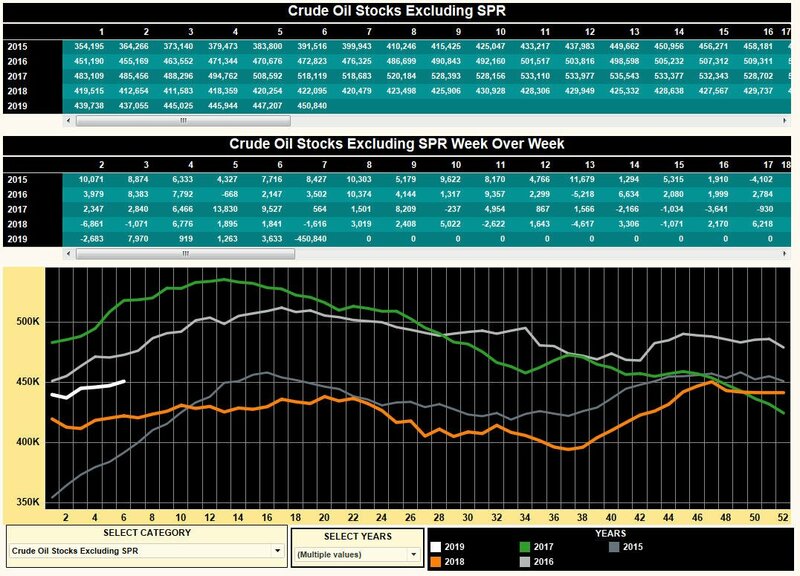 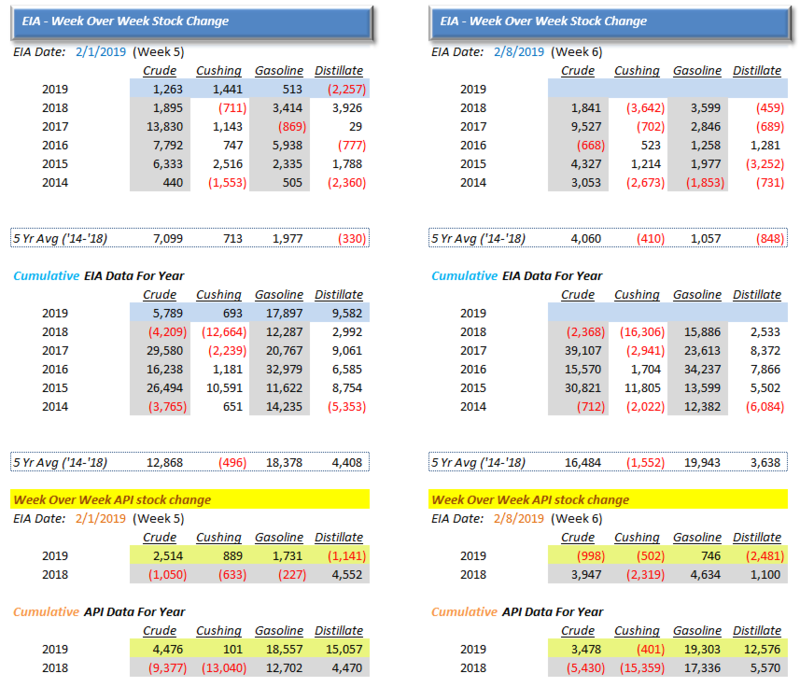 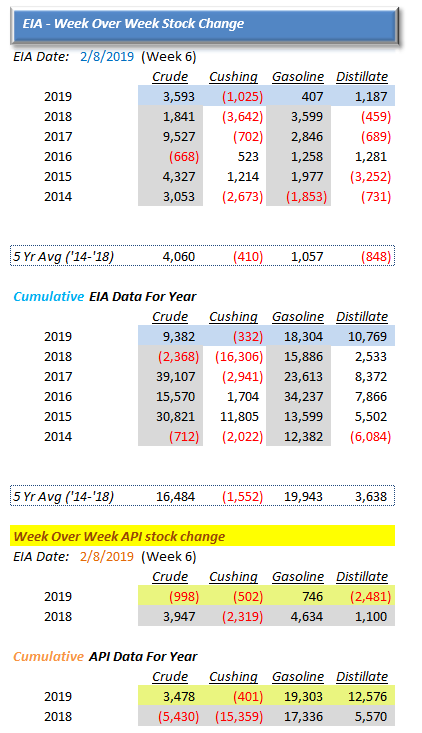 EIA reported another crude oil storage build, 3633k bbls and another build in gasoline of 408k bbls last week. Cushing inventories had a large draw with production remaining at 11.9 mbpd ATH. 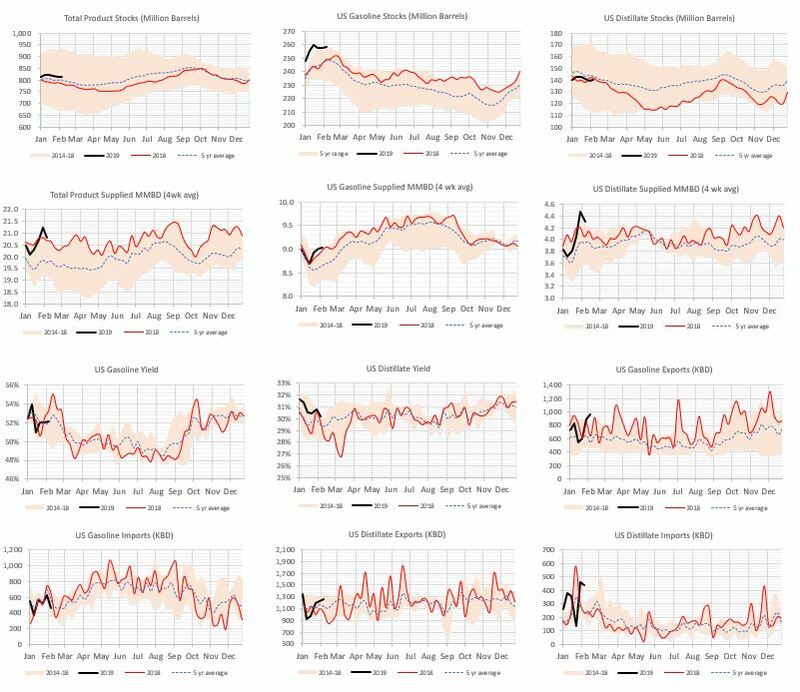 With the Government Shutdown these reports have not been available from the CFTC however ICE does have it's weekly reports. US Oil Exports off 2018 (ATH) high. US consumers spent $826.7 million per day for gasoline last week. 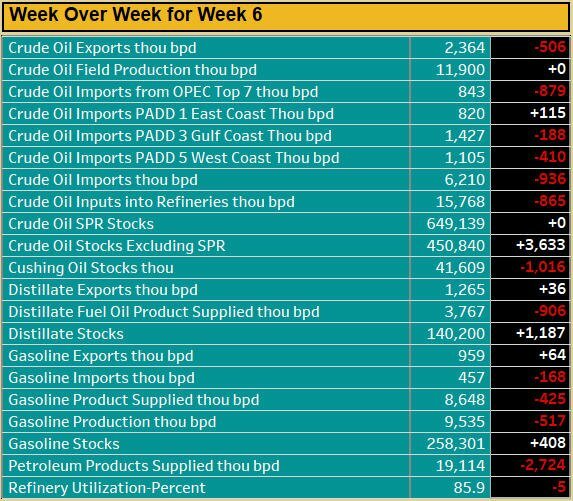 That is -$165.2 million less dollars per day than same week last year. US gasoline avg retail price was $2.276 per gallon, -33.1 cents less per gallon YoY. US consumers bought 363.22 million gallons of gasoline per day last week. 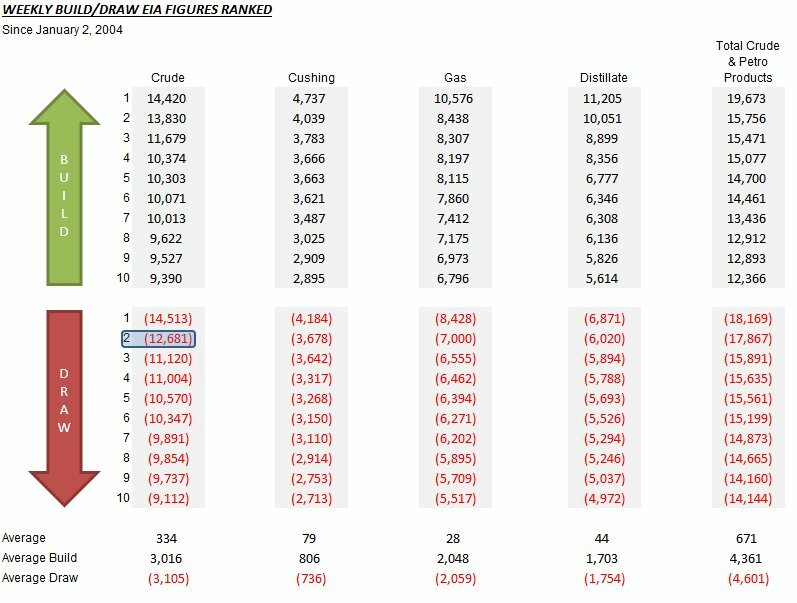 ery difficult to take these numbers at face value. US crude imports this week are at the lowest level since 1997 due to Keystone/USG Fog issues. 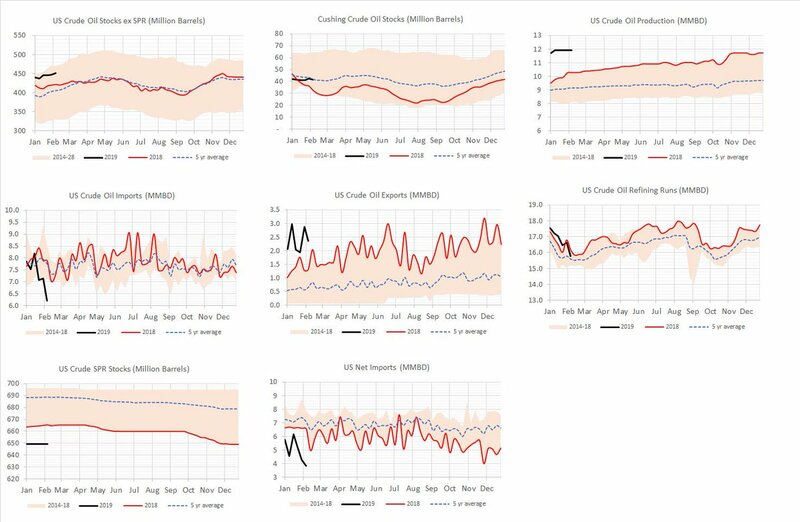 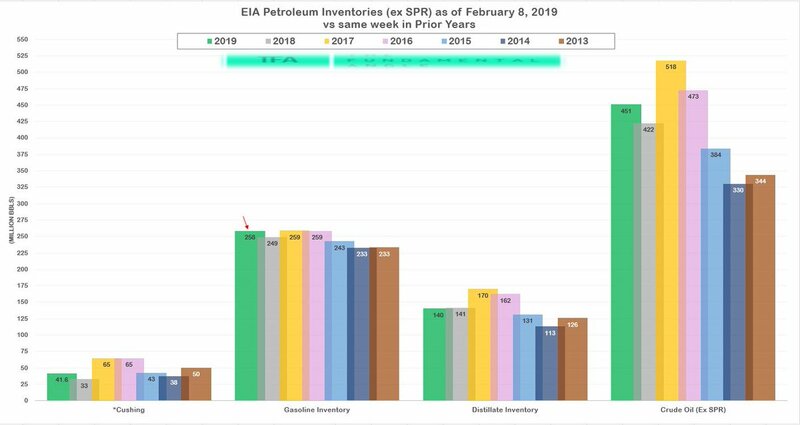 Weeks like this makes it even more important to look at the 4wk average..
Crude Build +3.6MM as refinery runs dropped by 865kbd due to refinery maintenance. 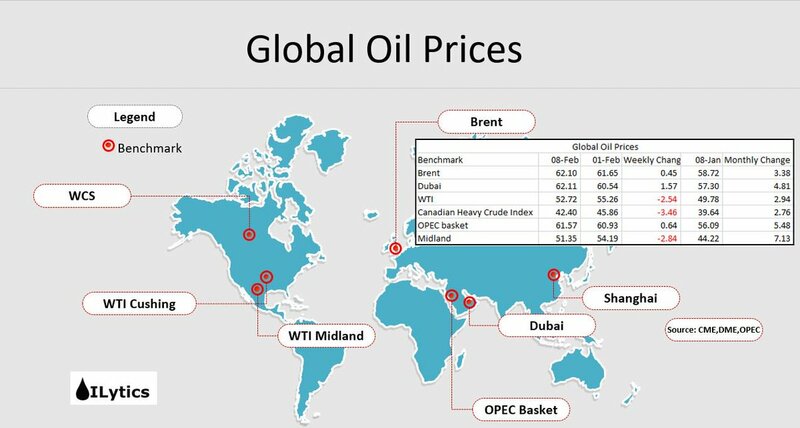 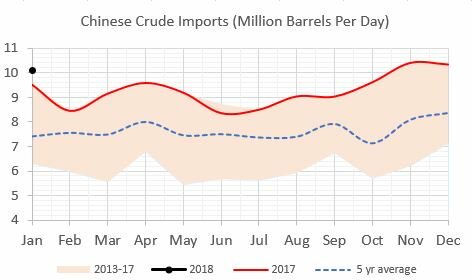 The number could have been very ugly, but a huge drop in crude imports helped. 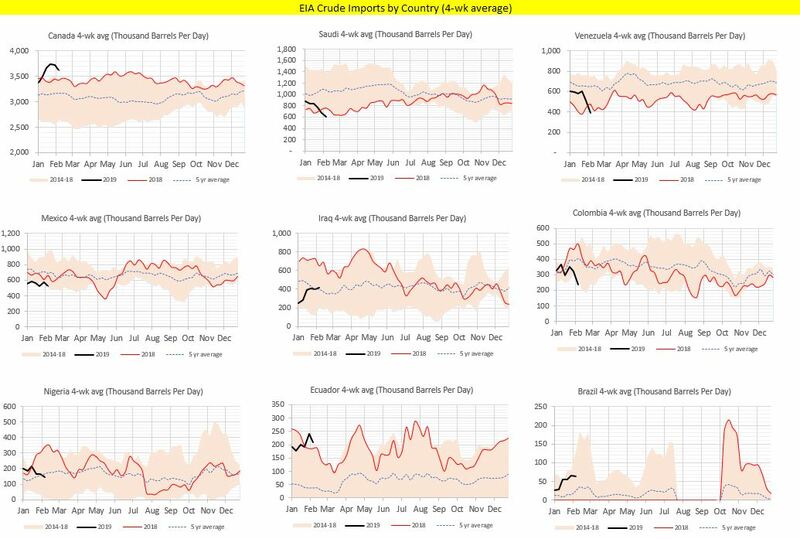 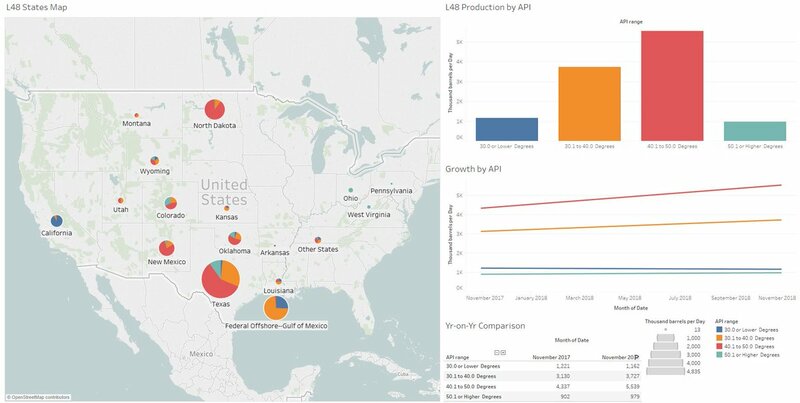 Crude imports down by 936KBD due to Houston Fog/Keystone issues.